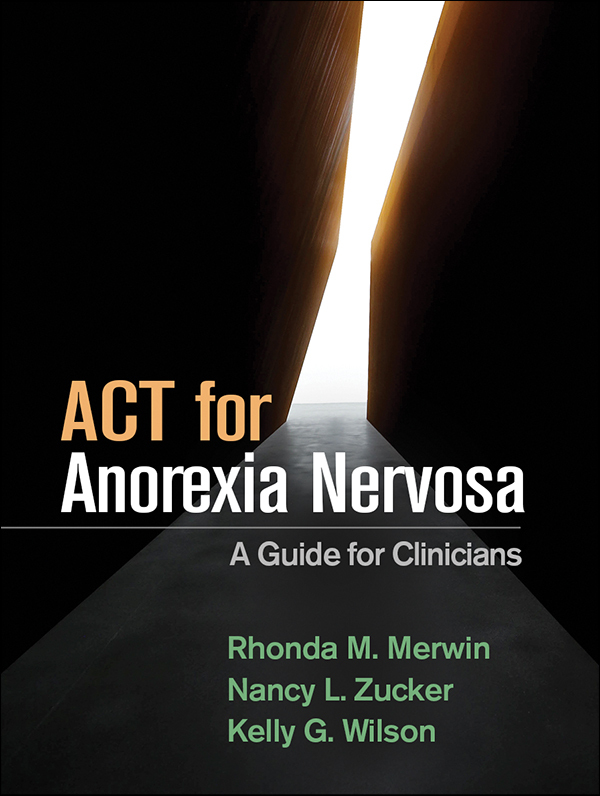 This is the first book to present a roadmap for tailoring acceptance and commitment therapy (ACT) to the serious, complex challenges of anorexia nervosa (AN). Leading authorities describe interventions grounded in ACT core processes—defusion, acceptance, attention to the present moment, self-awareness, values, and committed action. Guidance is provided for conducting functional assessments with adolescents and adults and working toward individualized treatment goals, starting with weight restoration. The book also discusses ways to engage parents and other family members in treatment. It features therapist scripts, sample dialogues, case examples, and reproducible forms and handouts. The large-size format facilitates photocopying; purchasers also get access to a Web page where they can download and print the reproducible materials.